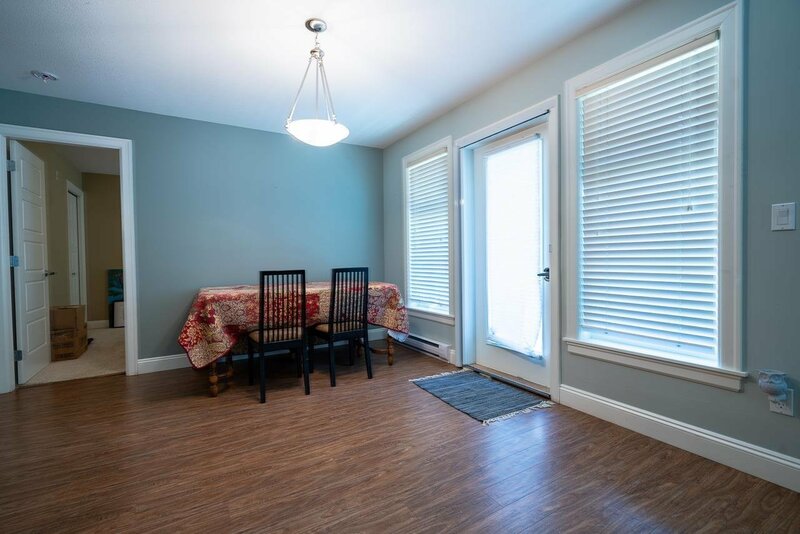 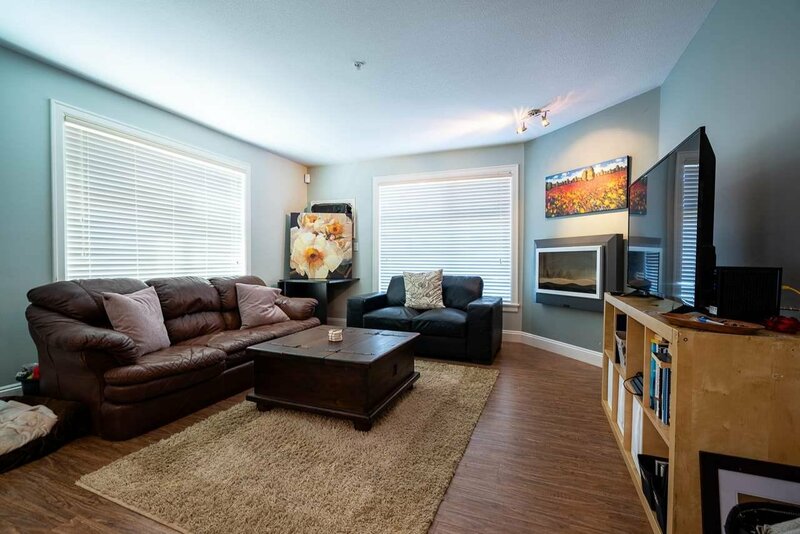 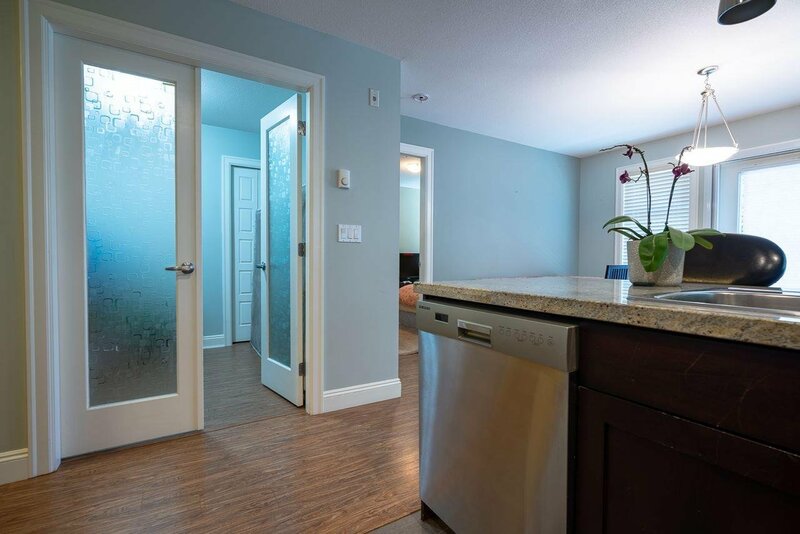 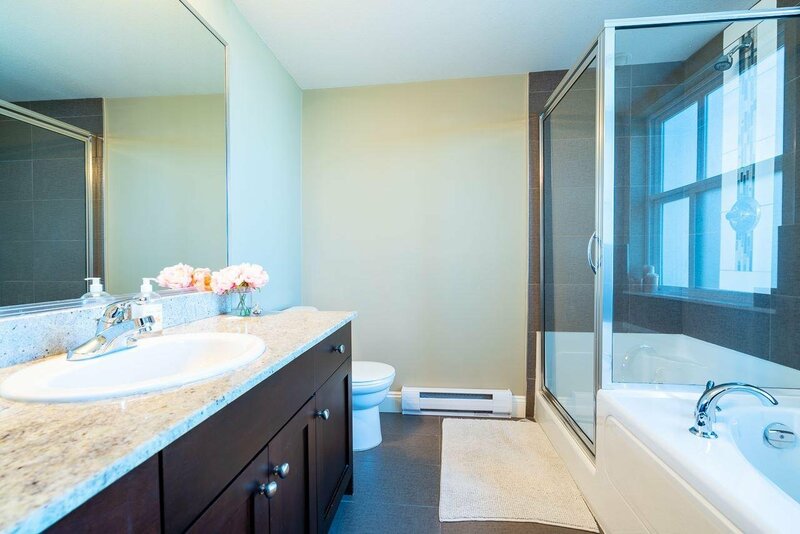 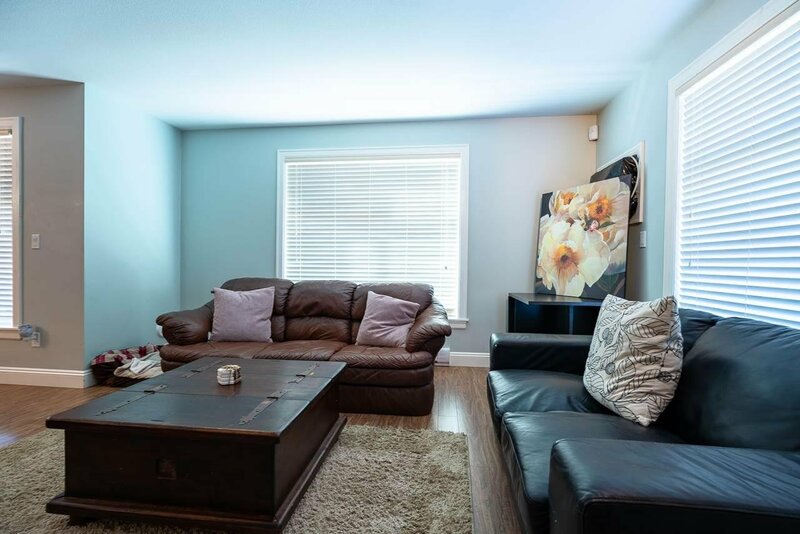 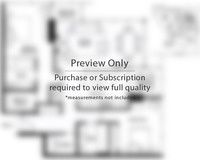 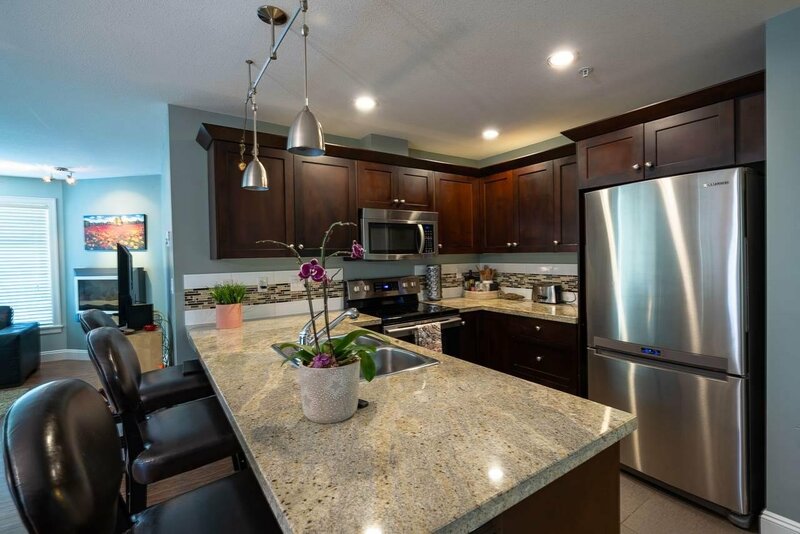 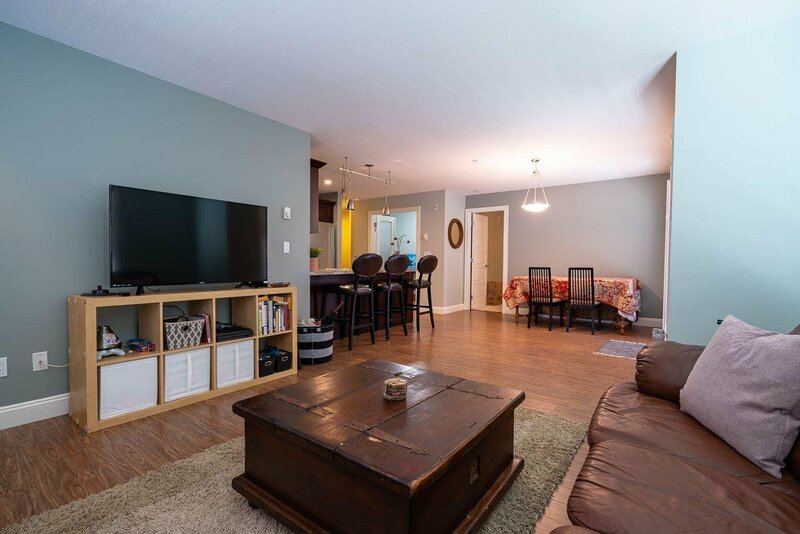 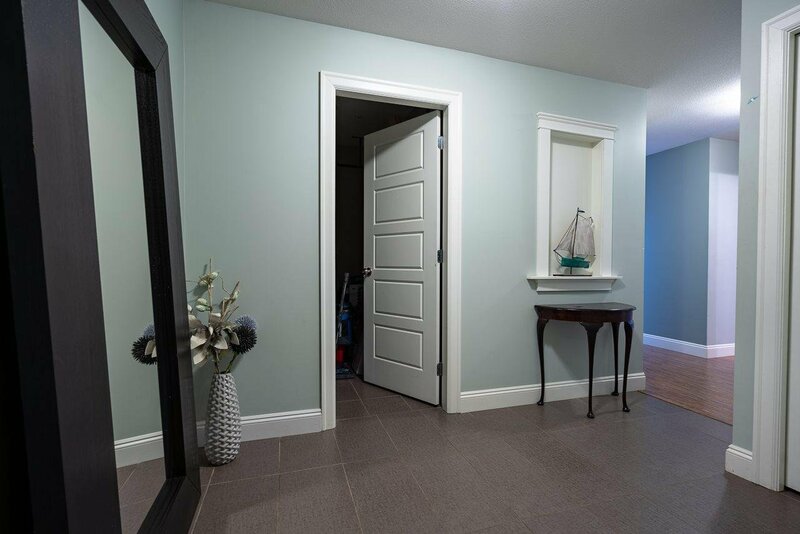 Very spacious 1237 sq.ft., 2 bedroom PLUS a den unit at Ameera Place! 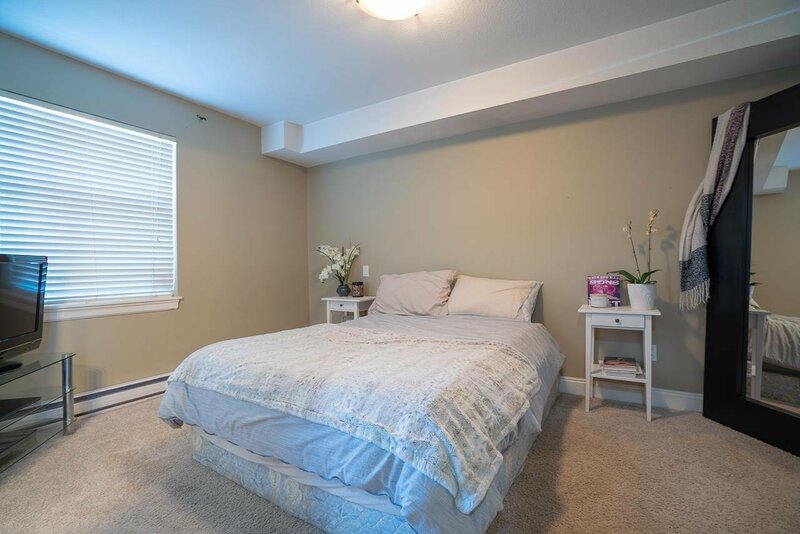 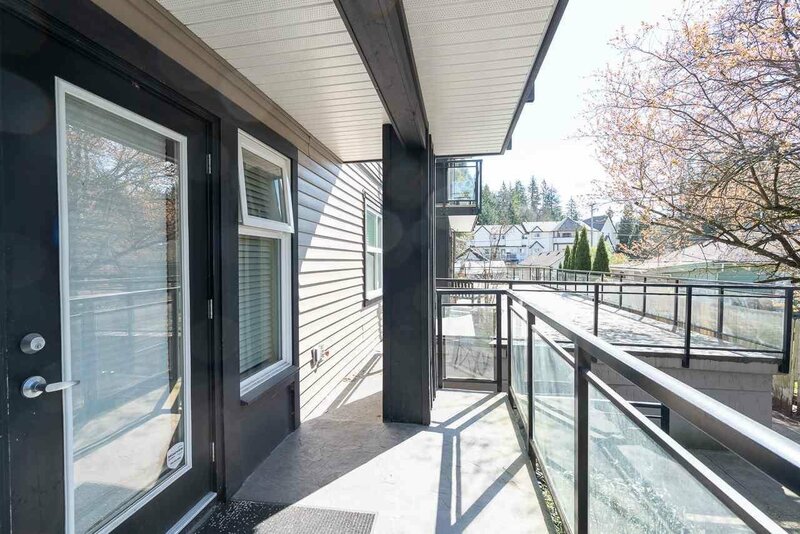 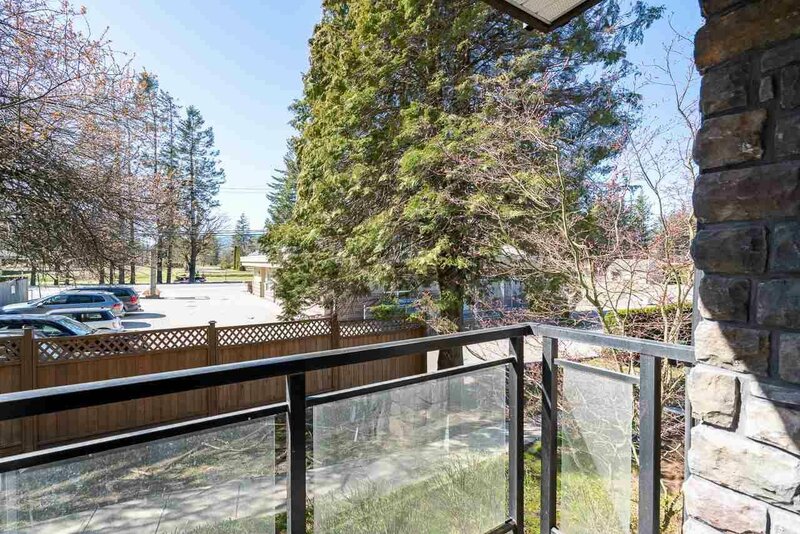 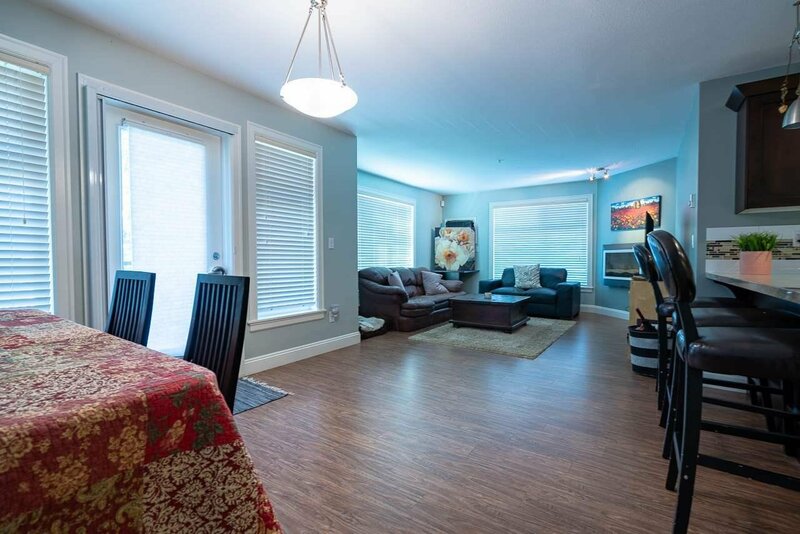 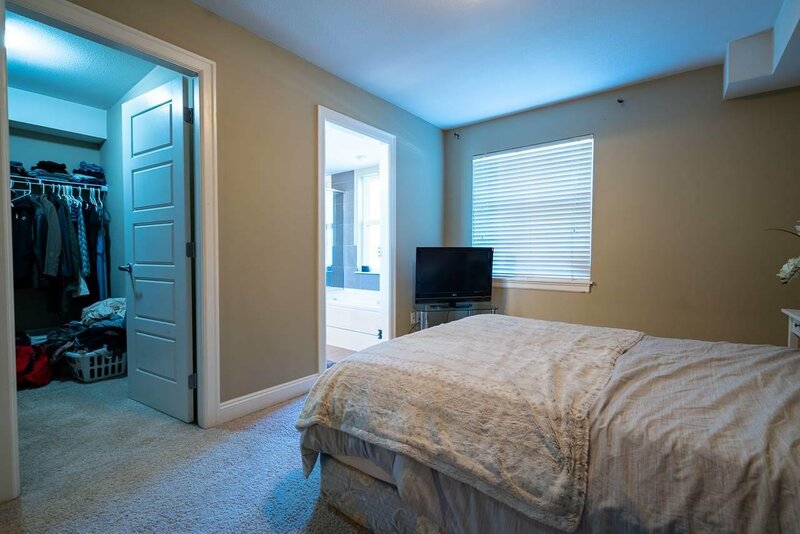 This first floor condo features a lovely common area stamped concrete patio. 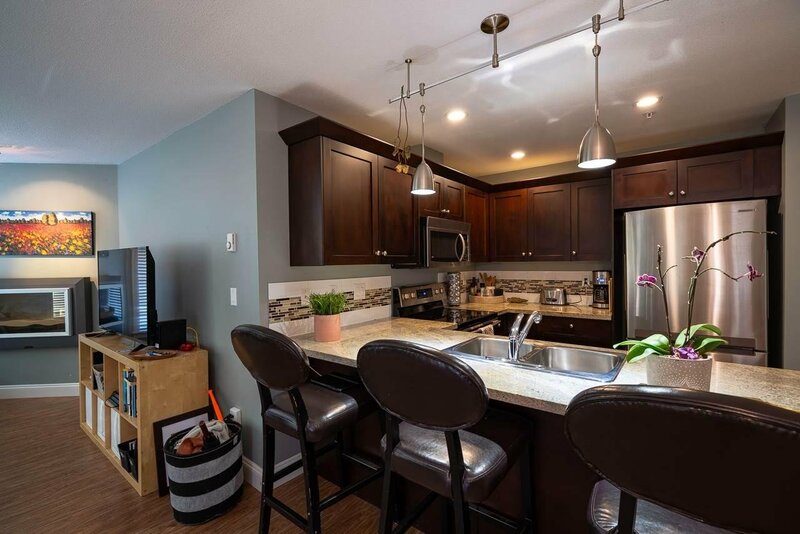 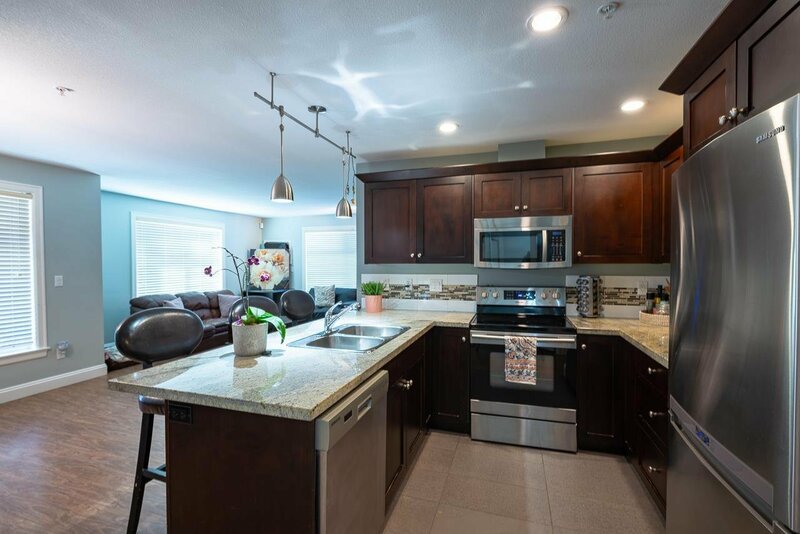 Large, functional plan with great living space, kitchen with granite counters and stainless appliances, 2 generous bedrooms and a den gives you plenty of options. 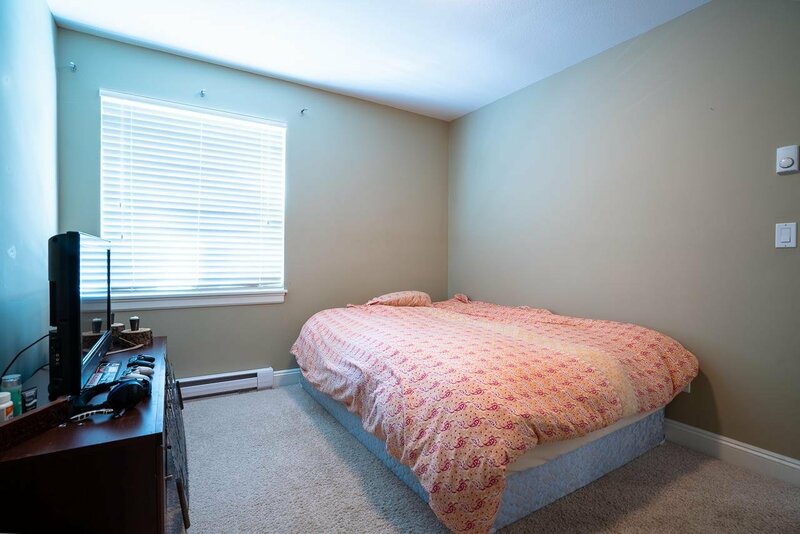 Great storage space and in-suite laundry. 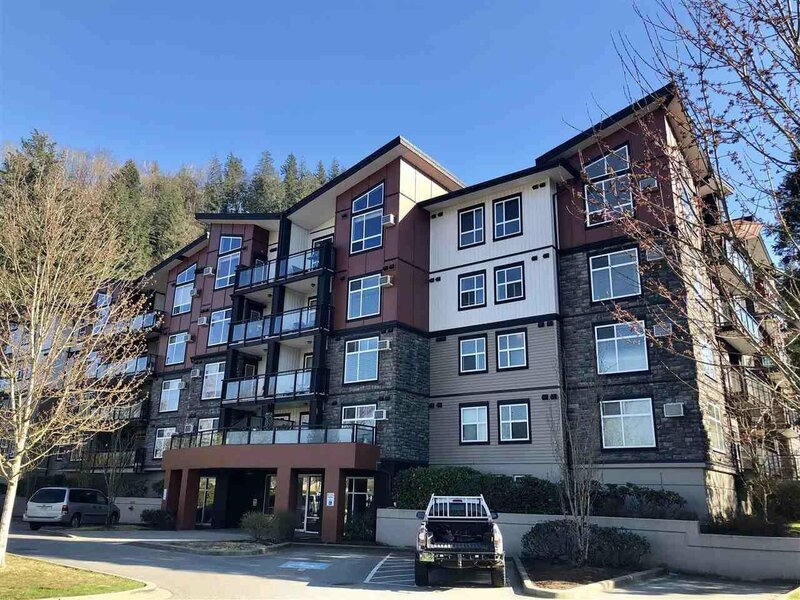 This building allows rentals and is just steps from Garrison Crossing, walk to the river, shopping or UFV. 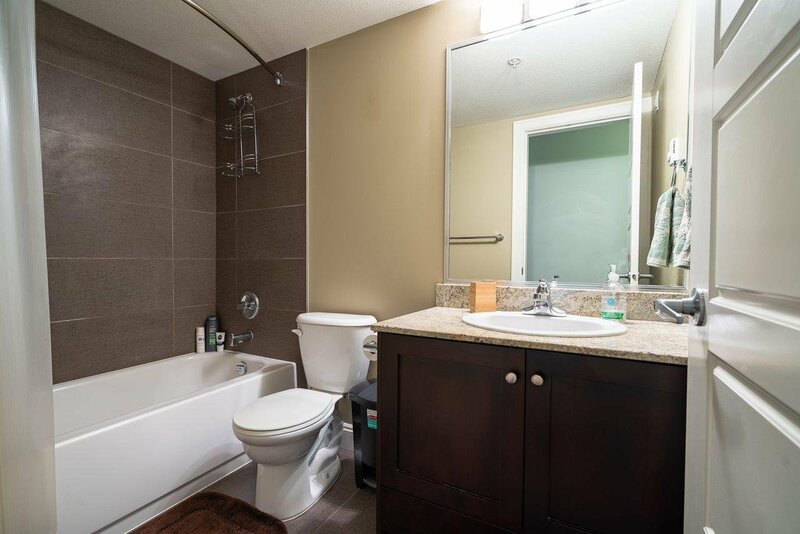 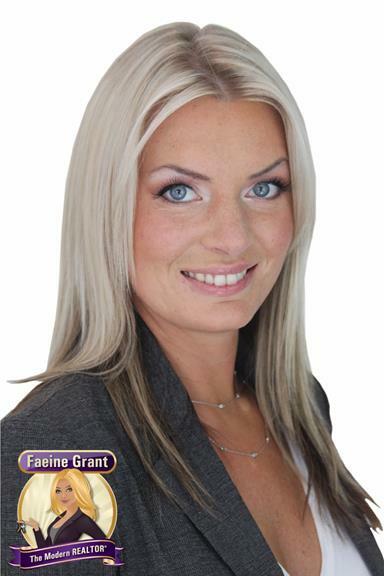 Perfect for the first time buyer, someone downsizing or a rental investment!